Eileen Hough I am a breast cancer survivor! Welcome to Eileen Hough's biography. I graduated from Millersville University in 1991 with a Bachelor of Science in Occupational Safety and Industrial Hygiene Management. After a short journey in the business world, I decided to go back to school to become a teacher. I was unsure of this decision at the time, but I am happy to say it was one of the best decisions of my life. Returning to Millersville University, I completed the Mathematics Secondary Education Program in 1995. The first four years of my teaching career were spent at Manor Middle School in Lancaster, PA. 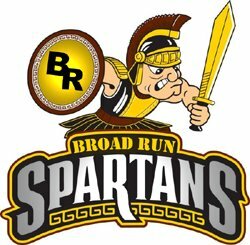 In 1999, I moved to Virginia and began teaching at Broad Run High School. My Spartan years have been very enjoyable and rewarding. Currently, I am the Math Department Chair and Key Club Advisor. I look forward to another fantastic year of teaching Algebra II and Algebra II/Trig at Broad Run High School. Homework assignments and quiz/test reviews with answer keys will be e-mailed to the student and parent.